As the educational landscape changes, Professional Learning Leaders must provide PD experiences which support current trends in education. Classroom learning is changing in response to the shifts driving education today: Common Core State Standards, (CCSS), CTE Model Standards, 21st Century Learning, Project Based Learning, Inquiry-Based Learning, College and Career Readiness, and new assessments. Professional Learning Leaders must find innovative ways of facilitating learning experiences for educators which promote and encourage the expectations in the classroom. We will examine four models of professional learning: Face to Face Model, Flipped, Blended and Online Models, Professional Learning Networks and some Informal Models. Given the shifts that are driving education, Professional Learning Leaders can design effective professional learning courses and workshops as measured by performance indicators outlined in Digital-Age Literacy for Teachers: Applying Technology Standards to Everyday Practice. These performance indicators guide the Professional Learning Leader to focus on the learning opportunities and strategies that will facilitate learning of the curricular goal and support the diverse needs of learners. Face to face professional development is best recognized as the traditional approach to PD where the professional learning leader and the educators interact simultaneously in a learning space that is designated for teaching and learning. Walls serve to define the learning environment as well as the display of print-based learning materials. The physical space may be configured based on the method of instructional delivery and learning. Module 7 will go into more detail about designing the physical space for face to face professional development. As a Professional Learning Leader, your goal is to provide face to face learning environments that model high-quality, effective and innovative learning experiences for teachers. While the facilitator will certainly provide information, the traditional lecture based stand and deliver model is outdated. The contemporary Professional Learning Leader should provide innovative learning experiences where educators are encouraged to collaborate, investigate, and share. The majority of the face to face time should engage educators in active learning. One way to accomplish this is through the use of a backchannel. A virtual backchannel tool such as Today’s Meet is often used during a presentation and/or workshop. It is not considered courteous to engage in audible conversations during someone’s presentation, so a virtual backchannel provides a means for participants to engage with one another and with the content by asking questions and sharing ideas and resources without interrupting a presentation. These backchannel conversations can be saved into transcripts so individuals are able to access the backchannel contents after the conclusion of the presentation. The presenter may access the backchannel to tailor the presentation based on the audience needs and /or interests or answer audience questions. Twitter, which will be covered in more detail later in the module, is often used as a backchannel when a specific event hashtag is included in the tweet. Read 7 Things You Should Know About Backchannel Communication for more information. A Professional Learning Leader should consider the time constraints of meeting together in one space at one time. Flipping PD is one way to maximize the time spent in face to face learning environments. Traditional Professional Development typically provides teachers with information and resources, but often lacks the time needed for exploration, experimentation, or application. Many Professional Learning Leaders across the country have begun “flipping” their meetings, workshops, and trainings. In the Flipped PD model, documents, instructional videos and other resources are created or curated and shared with participants prior to the in-person meeting, workshop, or training. By providing the ‘content’ ahead of time, participants are given the time and opportunity to engage in a more meaningful ways when they meet in-person. Participants can work together to develop instructional units, evaluate instructional materials, discuss pedagogy, and work collaboratively. Learning is collaborative in nature and Flipped PD provides authentic opportunities for collaboration based on grade level, content area, or interest. Following is a sample model of how flipped professional learning can look. When Stillwater Area Public School District realized they needed a better way to connect with their teachers, they flipped their professional development. Watch ​Flipping Professional Development: No Teacher Bored in the Background to see how flipping professional development impacted the teachers. Read Flipping Your Faculty Meetings , Mastering the Flipped Faculty Meeting and 7 Steps to Flipped Professional Development for in-depth information to help you get started with Flipped PD. Blended Learning is a formal education program in which the learner learns portions of the content through an online delivery method of content and instruction with some element of learner control over time, place, path, and/or pace. There is some part at a supervised brick-and-mortar location away from home where the modalities along each learner's learning path within a course that are subject and connected to provide an integrated learning experience. Blended Professional Learning combines both physical and virtual interaction with content and networks. 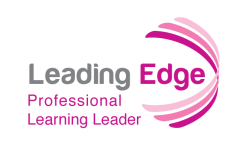 The blending of face-to-face professional learning, hands-on learning, online repository of digital content and resources, online coursework, virtual communities of practice, and on-demand videos extends professional learning across time and distance boosting educator’s opportunities for collaboration and learning. Blended learning is increasing in states and school districts across the country. In order to successfully teach in an online or blended learning environment, educators need to understand the pedagogy for such these learning environments and need to understand how to work with digital learning resources and web-based tools. Research shows that online teachers are much more effective if they have firsthand experience as online learners. Blended professional learning can provide that firsthand experience. Teaching and leading in the online environment is complex. It requires more than simply moving content online. Professional Learning Leaders who plan to teach in a fully online environment are advised to participate in an online teaching certification course or program. For example, the Leading Edge Certification for Online & Blended Teaching guides educators through a curriculum based on the iNACOL National Standards for Online Teaching. Leading Edge Certified Online & Blended Teachers not only have the skills to effectively facilitate online and blended courses, they also have a solid understanding of how to enhance the learning opportunities for all students enrolled in their online courses and how to support students to be successful online learners. Graduates of the Leading Edge Online and Blended Teacher Certification Course are proficient in building community in online learning environments, making online content accessible to all learners including those who are sight or hearing-impaired, building formative and summative assessments using Web 2.0 tools, and facilitating collaboration and group work in online learning environments. Synchronous sessions occur when individuals meet online at the same time. Meeting in real time can be very beneficial because individuals can have discussions that are not interrupted by time. In this way, a synchronous meeting can foster interactive back and forth conversations similar to those that can happen when meeting together in the same physical location. Watch Using Hangouts On Air for Education for one way to accomplish real time online communication. In addition to being a great broadcast solution, educators can embed a hangout into a learning management system (LMS). Alternately, educators can watch the recorded session later either in the LMS or on YouTube. Online and blended professional learning leaders may consider the addition of synchronous sessions which are also commonly referred to as webinars. Web 2.0 tools, including Skype and Google Hangouts, and various other web conferencing tools make this interaction possible. Additionally, some Learning Management Systems have a synchronous features built into the platform. Recording sessions for later viewing allows individuals to go back and reference material and discussions once the online meeting is over. Read 10 Best Practices for Webinars or Webcasts for some useful tips to increase success and satisfaction for both facilitators and participants in synchronous sessions. In what ways do you see flipped or blended PD providing rich learning opportunities for teachers and/or administrators? What are some steps you can take to help ensure a successful flipped or blended PD experience for your learners?